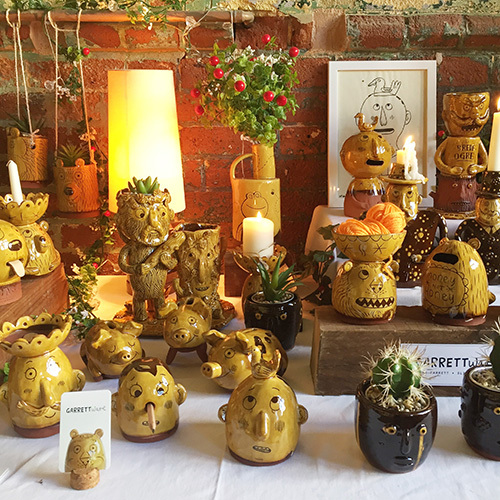 A whole world of quirky, characterful pottery awaits, as GarrettWare pottery takes over the Selfie room at Open by I LOVE MEL. Contemporary English Slipware with a generous heart. Figurative pottery in many forms.